Thailand will be unveiling plans to offer multiple entry-six month visas for citizens of all countries to try and boost the economy with tourism. This can also, in effect, replace the 60 day tourist visa. Visa on arrivals stay the same. This news is good for people planning to visit Southeast Asia that wants easier flexibility in moving around the countries nearby. When the multiple - visa is available it'll allow travelers to enter the country many times during the six months after entry and there will be no need to renew or purchasing a new visa. 'The multiple entry visa will become available within the next 60 days, and will cost THB5000. The current one-month visa will remain available at a cost of THB1000. It has launched a three-year tourism strategy to boost inbound travellers and promote sustainable development. The country wants 28 million foreign visitors this year, a number they estimate to generate THB2.2 trillion in spending. 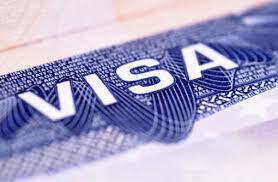 Visa Runs - To every border surrounding Thailand - never truly knowing if you would get your next visa. As of May 2016 - foreigners who stay in Thailand, usually the ones that need 'Extension of Stays' will now need to fill out a 3 page form. Failure to do so will result in penalization from the Thai Government. On the form you must fill out information such as vehicle registration, email address, social media accounts and bank details. You can red more about the new arrival form here.